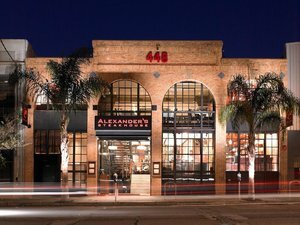 Alexander’s Steakhouse. Photo from Facebook. On Thursday September 13th, ~ALEXANDER’S STEAKHOUSE~ is hosting a wine dinner featuring Pio Cesare wines. The four-course menu from chef Marc ZImmerman will be paired with Pio Cesare wines selected by sommelier Johnny Slamon. Winemaker Pio Boffa will be on hand to answer any questions as well. The cost is $135, including wine and dinner (but not tax and gratuity). Space is limited. 6pm. Reservations can be made by calling the restaurant at 415-495-1111. 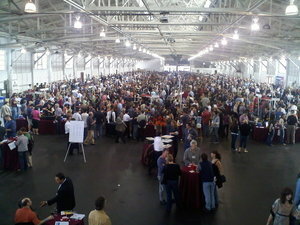 The 2011 Family Winemakers Tasting. Photo from Facebook by Andy Soto. Grab your wino friends and start getting ready now for the Family Winemakers of California Tasting coming our way on Sunday September 9th. This is the event’s 22nd year, and it should be a doozy. It will be held at Fort Mason from 3pm-6pm (1pm-6pm for the trade) and will include a ton of cool wines for all you oenophiles out there. The tasting will feature more than 225 wineries, including 22 that have never poured at the event before. More than 150 of the represented wineries will be smaller folks, who produce 5,000 cases or fewer. So check it out! You could totally discover a hidden gem before it gets hot. There will be cheese, crackers, and other nibbles on hand to cushion the vino, as well as crêpes from ~CRÊPERIE SAINT-GERMAIN~. A cool thing they’re doing this year: tickets can be purchased separately for the iSip lounge, which is not, in fact, a boozy Apple product. It’s a lounge within the event where you will be guided through eight wines selected by sommelier Courtney Cochran. The wines will focus on lesser-known varietals, like petit verdot. There will also be snacks to demonstrate food pairings with the iSip wines. Tickets to the Family Winemakers event are $65 until September 8th and $75 at the door. If you have a group of 10 or more, you’ll get $9.75 off per person. iSip lounge tickets are an additional $75. The event will be open to the public Sunday 3pm-6pm, and trade folks can attend Sunday 1pm-6pm or Monday 2pm-6pm.